Mr. Markus had lived through enough boom and bust cycles in grain prices to appreciate the boom corn growers were currently enjoying could shift suddenly. In the past, only seed corn was sprayed for foliar diseases, since grain prices were so low. Corn production was totally different now with the market price almost three times higher due to enlarging international markets in Asia and the Federal government’s energy policy advocating for use of biofuels, including ethanol from corn, thus increasing demand for the product. Mr. Markus had been able to make as much as $200,000 each year in profit, with equally exciting prospects for the foreseeable future. However, Mr. Markus couldn’t help but wonder what would happen if the price of corn suddenly dropped. Would growers still use fungicides? As a result of good grain prices, Mr. Markus and his neighbors had been motivated to plant corn year after year. Furthermore, they all used minimum tillage to reduce soil erosion. However, this practice increased the risk of disease because foliar pathogens can stay alive for months in the crop debris remaining on the soil surface. 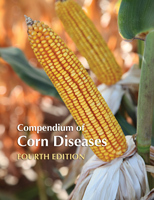 The next season, if weather conditions are favorable, spores are produced and spread by wind or rain to the lower leaves of newly planted corn causing disease and if severe, yield loss. The general consensus was that with an increased risk of diseases, due in part to production practices, foliar fungicides should be applied to the corn crop. Fungicide manufacturers responded to this need and started to market more fungicide products for use in field crops; many of which contained dual modes of action. When Pablo called the SalSal Ag Agency, he was reminded about the importance of scouting. The information generated can be used as field history data contributing to a realistic prediction of disease risk, an important consideration for hybrid selection in subsequent seasons. Pablo was a tech-savvy “new generation” farmer using social media to follow crop scouts, industry reps, and extension personnel. He also liked to send in pictures of disease problems for identification and management advice. Pablo was interested in the “plant health benefits” that fungicides (e.g., quinone-outside inhibitors, or QoIs, also known as ‘strobilurins’) were marketed for in addition to disease control. Potential benefits included plants with improved photosynthetic ability and a “stay green” effect, leading to purported increased energy for grain fill, improved stress tolerance, e.g., enhanced water use efficiency during drought conditions, and possibly greater yield. They also discussed how warm springs lead to early planting dates. Most foliar diseases start during mid-season and progressively gain impetus in the course of the season, depending on the weather. Plants planted earlier are older by the time infection starts and consequently receive less damage than they would have if planted later. Additionally, grain fill is completed by the time the disease causes extensive leaf damage that could adversely impact yield. Therefore, spring weather influences planting date and is an important factor when considering foliar disease risk later in the season and the decision on foliar fungicide use. Pablo had heard several growers claim that in the last drought, fields sprayed with fungicides showed minimal effects of water stress and had higher yields than non-sprayed fields. In addition, there were also claims of improved standability associated with fungicide application, which would make harvesting easier with the new machinery they purchased with their profits. Some seed companies rated their hybrids for their response to foliar fungicides; and generally disease susceptible hybrids responded better. After a briefing, Brad and Dr. Matthews discussed multi-variable yield response trials (hybrid, environment, trial design, fungicides) with common foliar fungicides. Although most showed a positive yield response even at low disease, this was not always enough to offset the fungicide costs. In addition to yield, however, there could be indirect benefits such as plants with better standability that are easier to harvest. Thus profitability was relative and could include the fuel, energy, time, and labor conserved during harvest. It had been demonstrated that planting high-yielding susceptible hybrids year after year increased the disease risk if disease was present due to increased inoculum production, with the potential for devastating losses if weather conditions were conducive for infection and disease development. Using fungicides potentially reduced disease risk and increased the probability of obtaining the desired yield. For years when disease risk was low, was there an ethical issue involved when growers ignored some of the basic precepts of IPM to grow hybrids with high yield potential and consequently achieve higher profits? Disturbing trends have been documented on the capacity of pathogens to evolve and develop resistance to chemical control. For example, the frogeye leaf spot fungus of soybeans has developed resistance to strobilurin fungicides in parts of the U. S. Could using fungicides in the absence of disease accelerate such resistance and reduce future management options? Possible environmental risks include residue persisting in the soil or run-off containing fungicides entering the water systems. Ultimately, these risks could negatively impact the terrestrial and aquatic ecological balance. After meeting with experts, Pablo and Brad prepared talking points to share at the family meeting. If present, what decision would you advise them to make?